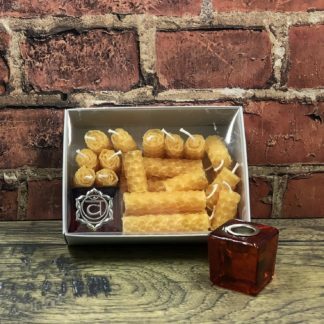 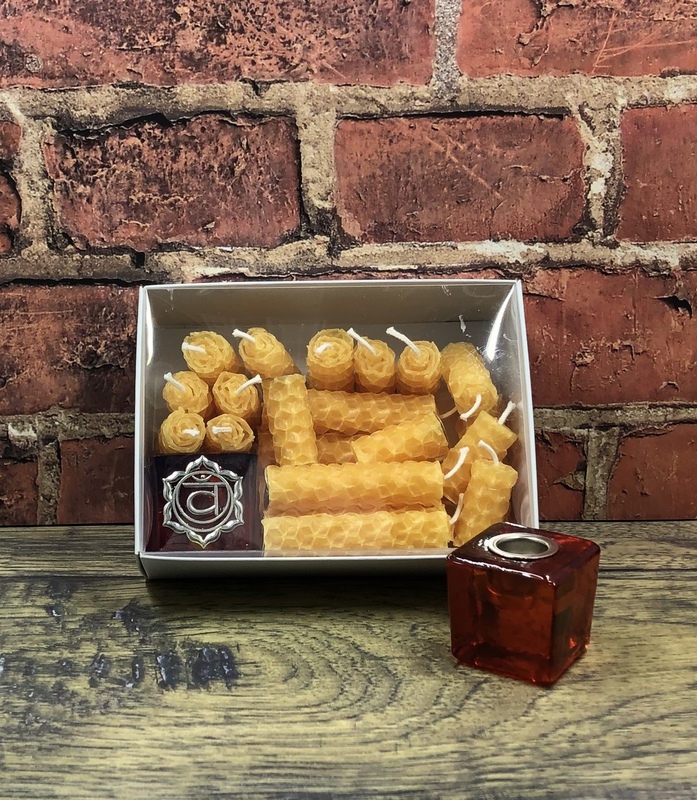 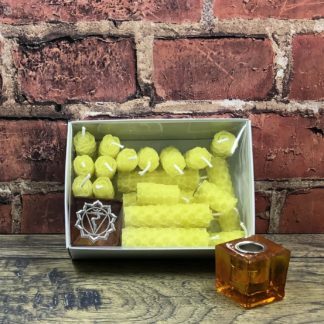 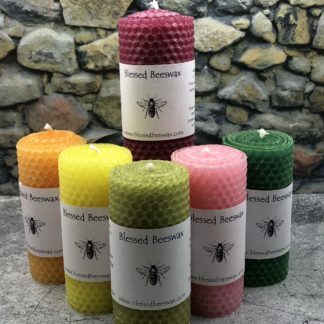 This set includes 14 1″ beeswax candles and 7 2″ beeswax candles. 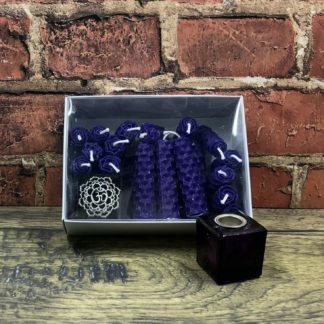 Each 1″ candle will burn about 20 minutes — perfect for quick spell work. 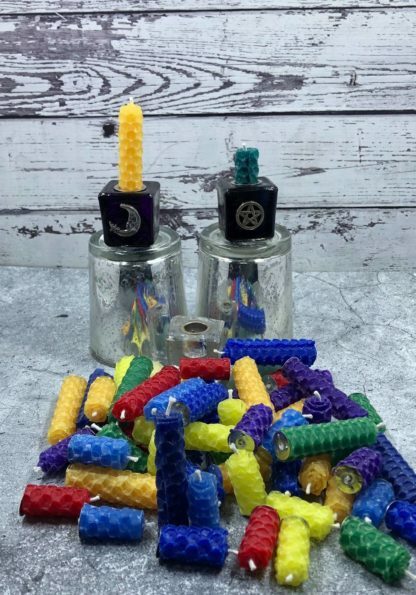 Each 2″ candle will burn about 45 minutes. 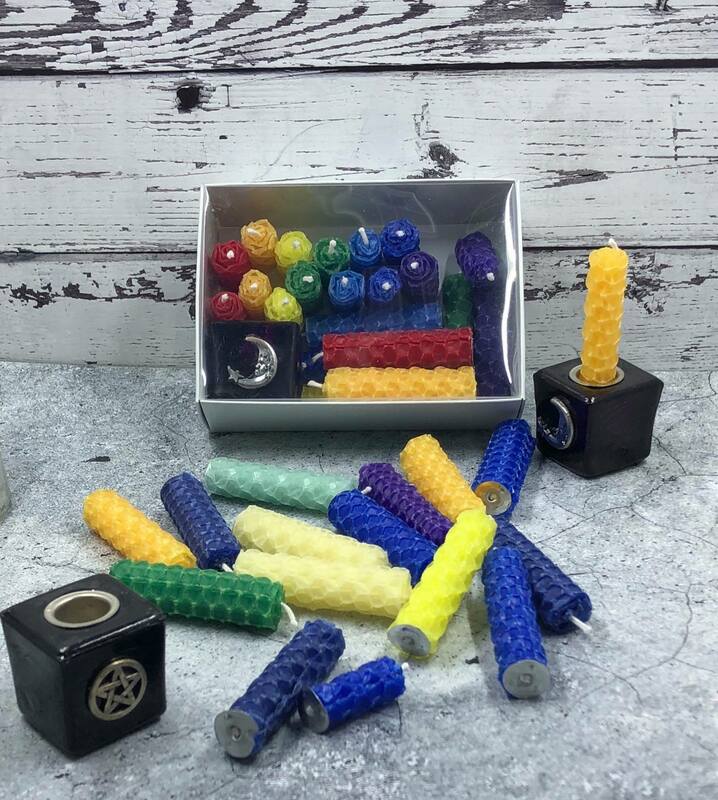 The set also includes one mini glass holder with the sacral chakra symbol. 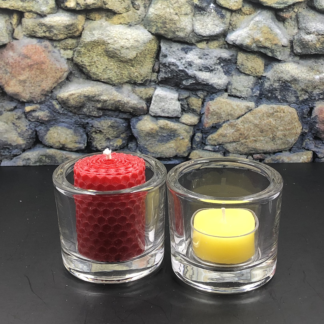 For $1 less, there is a plain orange holder available.